Purim starts this weekend, a festive holiday of rejoicing, yet again, in the fact that we (the Jews) have survived an attempt at persecution. Though not as noticeable to the outside world as, say, Chanukah, it is definitely as fun—allowing people of all ages to dress up, eat special sweets, and wave noisemakers called groggers as the Megillah (book of Esther) is read out enthusiastically. …but you don’t have to wait until the 14th of Adar to dress up as your favorite Biblical character (or maybe you do :P) Enjoy these local offerings of Purim-related festivities to get you in the mood! Fiddler on the Roof Purim! Come to Temple Emmanuel for a broadway-driven spiel! Also features choral insertions by adult and junior choirs, Kol Zimrah and Kol Ruach. Always one of the biggest events of the year, join YP@AI for some schmoozing and nosh before the Megillah reading. Jews United for Justice heads to Church of the Pilgrims for Purim festivities. Kids on the Block, Inc. will use puppetry to teach children about disabilities; bring goodie bags of mishloach manot! Beth Shalom Congregation’s Silly Symphony presents this spiel! For a traditional Megillah reading, head to this event. 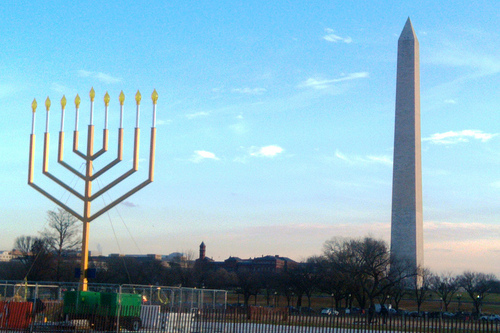 Join Sixth & I and DC Minyan for a spiel followed by an after party at Bar Louie in Chinatown. The DC Cowboys and Ricki Wilchins join GLOE for some adult-themed Purim partying. Don costumes or black ties and masks for this night in Georgetown with Washington Hebrew Congregation. Join the Magen David Sephardic Congregation for this meal to end Purim. High schoolers can enjoy this Purim party at Adat Reyim! UMD Lecture: Is Israel Western? Want to go on a trip to Israel with DCers? On the heels of Valentine’s Day, sign up to spend 10 days on a trip to Israel with your DC neighbors! Starting Tuesday at noon, the Shorashim/Israel with Israelis Birthright group will be offering online registrations for upcoming summer 2010 trips to Israel. Just fill in your email address and answer some Q&A about your Jewish background and reasons for wanting to go, and you might find yourself in the Holy Land! Note: once your application is accepted, you’ll have to submit a $250 security deposit. 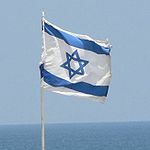 As someone who went on a free Birthright trip in 2004, I assure you that it’s worth its salt—not only due to the amazing experiences you’ll have in Israel, but especially due to the alumni events, lectures and concerts and parties, that follow. The DC NEXT chapter is particularly active, and provides a great way to stay in touch with your fellow travelers. For more information on the Washington, DC Shorashim trips, click here! Note: Some events may be cancelled due to inclement weather! Check with organizers for info. After a record-breaking 54-plus inches of snow these past several days, DC is slowly beginning to wake itself up and get back on track (for however long that might last.) Several area Jewish events have been cancelled this week, with a probability of the trend continuing through the weekend, so make sure to keep in contact with event organizers if you have something to go to! Early Shabbat Shalom and stay safe out there! Note: Some events may be cancelled due to inclement weather. Check with organizers for info.